I just recently picked up a pretty nice conditioned Washburn G-5V with wonderbar trem...Missing a fine tuner knob and needs a new nut (the B-string is almost resting on the first fret), but for $50 how could I let it pass. Got to say, I've been fairly impressed with the Trem though. Smooth action. Lots of weight. More adjustments out of the fine tuners that I was really expecting. One thing I did find odd was the nut. I removed the 3 hold-down allen screws to throw some new strings on there and there ISN'T any threads to hold the center hold down screw. 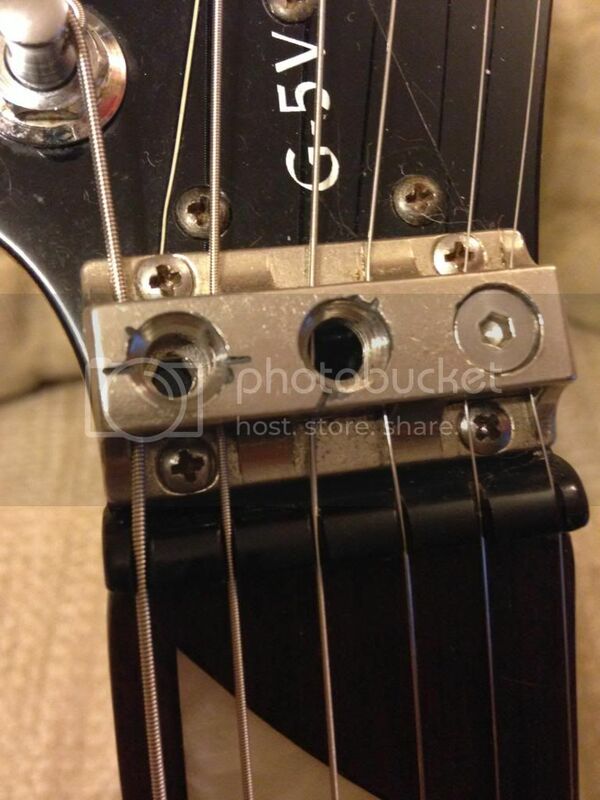 It looks like the hole goes all the way to the truss rod. Is this the way its supposed to be? Am I missing something?